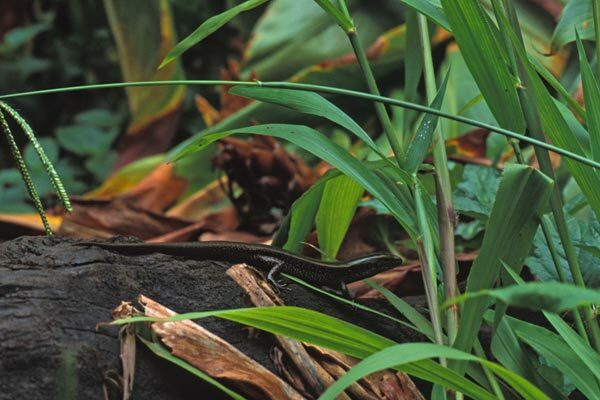 A pair of these medium sized glossy skinks were basking on this log near the lovely Millaa Millaa falls until I started focusing my camera in their direction. The larger one rushed off immediately, and its smaller pal here paused only briefly before joining it. How reptiles can hear the sound of a manual-focus lens focusing is one of life's little mysteries. 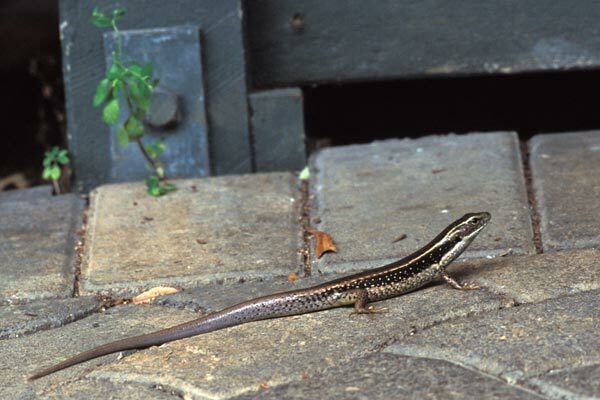 This skink is pictured a foot or two outside the door to our room at O'Reilly's guesthouse. Before I got this picture, the skink had twice taunted me by lounging there as we came out of our room, then dashing off before I could set up my camera. The third time I fooled it by going out the back patio door and sneaking around the building. I arrived in Sydney on October 3, 2015, to begin a month-long herping adventure. I stayed in the greater Sydney area for a few days so I could meet up with David Fischer, whom I knew from online forums and Facebook and reputation but whom I had not actually met. We did meet that morning as soon as I drove to his house from the Sydney airport, and after I showered off the airplane dust we headed out to Carrington Falls to see what we could see. 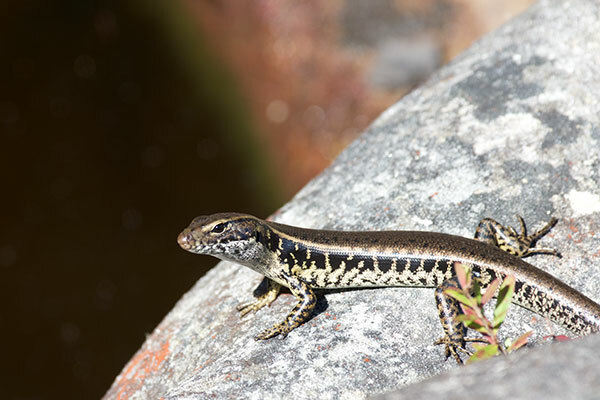 The first herps we encountered were a number of these handsome skinks patrolling the boulders around the top of the waterfall. 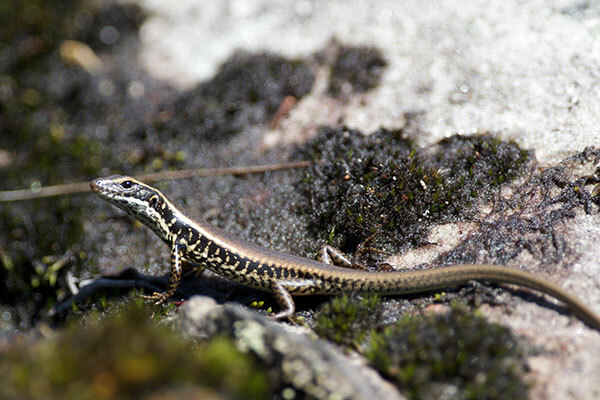 So these is my first herp species of New South Wales -- congratulations are due to the Eastern Water Skink!